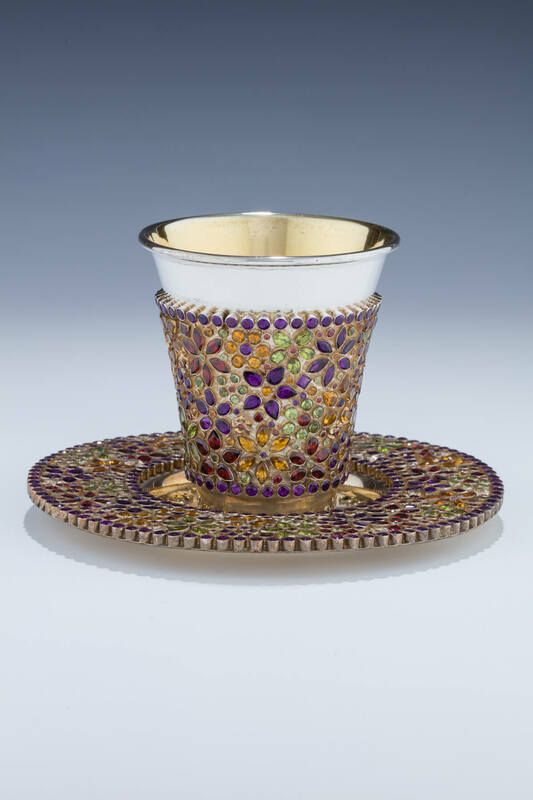 A GEM ENCRUSTED KIDDUSH CUP AND UNDERPLATE BY DEKEL AVIV. Jerusalem, modern. Decorated with flower pattern, hand cut amethysts, peridots, citrines and garnets. The plate with applied cut out gilded letters from a Sabbath song passage. The cup is 3.6” and the plate 6” wide.